The S&S Award is an annual event recognising the best new unproduced musical of the year as judged by a panel of industry luminaries. Going by the showcase last night at the St James Theatre, the future of musical theatre is looking amazingly bright. Introduced by actor David Badella and opened by the London School of Musical Theatre Graduates Choir, the showcase presented excerpts from two shows that were awarded highly commended and an abridged performance of the winning musical itself. The first Highly Commended Award winner was “Jabberwocky” by Rebecca Applin and Susannah Pearse. This highly ambitious show was originally written to be performed by 35 actors and tells the story of Flora (Sarah Earnshaw) and Jessica (Julie Atherton) two young women from different eras that meet and come together by looking into a magic mirror. The two girls join forces to defeat the terrifying Jabberwock. The show explores the girls’ history and how they got to the position of meeting – one thrown into a Victorian mental asylum for being odd and the other a loner at school – and the people they interact with before plunging into the world between the mirrors and the chaos of the Jabberwock and meeting new friends such as The Pobble and The Akhond. This is such an interesting story with some fabulous songs and the potential to be a really marvellous show. Our second Highly Commended “Van Winkle” (@VanWinkleMus) from Caroline Wigmore was described as a folk musical in the programme. The cast of nine are on stage all the time and play multi-instruments. For someone who never got past the treble recorder at school, a stage full of people acting and playing a variety of instruments is a sure fire winner with me. Rip Van Winkle (Matt Wycliffe) a settler in 1766 America, is fed up with his life (wife, kids, another sprog on the way) in fact his only real friend seems to be his dog ‘Wolf’ (a wonderful bit of puppetry from the talented Sandy Grigelis) to whom he tells all his troubles on a walk in the woods. In a fine example of ‘be careful what you wish for’ Rip runs into the ghost of Henry Hudson and his crew and takes a magic drink which, they say, will give him what his heart desires. In this case it turned out that what Rip really wanted was some sleep – around 250 years’ worth – and he wakes up in modern day NYC. Rip, with his long beard and unkempt appearance tries to make sense of his new world, meeting a lovely couple of homeless people on the way. Ultimately, as is so often the case, Rip realises that in a true ‘Wizard of Oz’ moment, there’s no place like home. Will he get there? Who knows? I really loved this show. There was a lovely story and some really memorable songs – there were people humming the final one during the interval. The cast were all multi-talented and I would love to see this one produced on a big scale. Finally we were introduced to the winning play for 2014. Tim Gilvin’s “Stay Awake, Jake” Unlike most musicals, this is not a massive scale song and dance extravaganza but instead is a one man show tracing a car journey from London to Carlisle. OK, that may not sound too promising but stay with me, its going to be an interesting ride. Jake (Norman Bowman) has lost his girlfriend Sofia – she walked out on him 4 weeks ago – and following a late night telephone call, he wants to be reunited with her. Setting off from London at 2 am, the show follows his progress through town and up the various motorways until he finally arrives outside Sofia’s front door. On the way he talks to himself, the radio, anyone in order to keep awake and over the course of the show the audience learn everything there is to know about Jake. His personality, his fears and his insecurities. This is a man totally under the microscope and Tim Gilvin has written a truly superb piece of theatre to keep him there. The audience travel every inch of the 315 mile route hanging on Jake’s every word – even when there is a four letter tirade about life in general. I really liked Jake. He is that unusual thing in musical theatre, very human. Even with only having an abridged version of the show, I could see facets of me and everyone I know in him. The way he said ‘Carlisle’ when singing about his end destination reminded me of my own reaction when going there. When Jake did arrive, I actually didn’t want the show to end. Does Sofia forgive him for being, let’s be honest, a bit of a knob, I sincerely hope so but will have to wait until the show comes back to London as a full production to find out. The S&S Awards gala was a wonderful night of musical theatre. 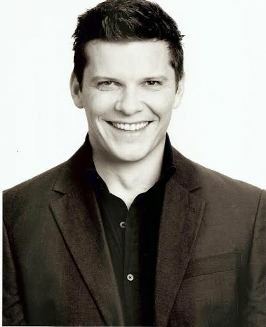 The various cast members put their heart and soul into their performances and award presenter Nigel Harman summed up the event perfectly by reminding the audience that musical theatre is not the sad little cousin of ‘straight’ theatre, best hidden away when the vicar comes to call. It is a strong and powerful force in its own right and should be celebrated as such. Looking at the winners last night, I don’t think anyone would argue. Hosted by Olivier-winner David Bedella, a cast of West End performers will present excerpts from the winning show, Stay Awake, Jake by Tim Gilvin, and from the two highly-commended shows, Jabberwocky by Rebecca Applin and Susannah Pearse, and Van Winkle – a folk musical by Caroline Wigmore. The evening will culminate in the presentation of The S&S Award 2014 by special guest, Olivier-winning West End leading man, and Downton Abbey star, Nigel Harman. Plus special guest, singer/songwriter Gwyneth Herbert. The West End company of performers includes; Julie Atherton (Avenue Q, Sister Act), Sarah Earnshaw (Spamalot, Wicked), Sandy Grigelis (Carnaby Street, West End Heroes), Jennifer Hepburn (Taboo, Les Miserables), Hannah Jarrett-Scott (Midsummer Songs, Girl Meets Boy), Aidan Kelly (National’s Treasure Island, Once), Katrina Kleve (Once, Smokey Joe’s Cafe), Suzie Mathers (Wicked and Mamma Mia in Australia), Matt Rutherford (Love Beyond, The Hired Man), Victoria Serra (Love Story, Mamma Mia), Jos Slovick (Once, The Snow Queen), Vicki Lee Taylor (Urinetown, A Chorus Line), and Matt Wycliffe (The Commitments, Jersey Boys). Artists are subject to availability. The Gala is directed by Simon Greiff, with musical direction by Richard Bates. The S&S Award Gala is a unique opportunity to be in at the beginning of brand new British musicals performed by the West End’s finest.